When clients are asked where they hold the stress in their bodies prior to a massage treatment, most respond with either neck or low back. These two opposing ends of the craniosacral system are connected by vertebrae, a spinal cord and, most importantly ~ a pulse ~ that when encouraged and treated, can balance the function of the whole body. CranioSacral Therapy (CST) is a gentle, hands-on approach that releases tensions deep in the body to relieve pain and dysfunction and improve whole-body health and performance. Using touch methods generally no greater than 5 grams, or the weight of a nickel, therapists release restrictions to allow for systems in the body to balance. As we go through daily life, our body encounters many stresses and strains that limit our range of motion. These changes often cause body tissues to tighten and distort the CranioSacral system. This causes tension to form around the brain and spinal cord and can create a barrier to the healthy performance of the central nervous system. In 1970, osteopathic physician Dr. John Upledger was assisting during a neck surgery and observed a rhythmic movement in the dural membrane system which enfolds the spine. None of his colleagues could account for it. So, Upledger set out to get an answer. He researched the work of Dr. William Sutherland from the early 1900’s who believed the bones of the skull were structured to allow for movement. And so the CranioSacral system, was discovered – a separate loop of cerebrospinal fluid from the cranium to the sacrum and back. 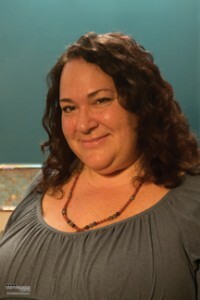 After several more years of intense study and practice, Upledger created CranioSacral Therapy. The pulse or CranioSacral rhythm is due to the production, reabsorption and circulation of the cerebrospinal fluid. This pulse is very subtle and requires sensitivity from the therapist and extensive practice to feel. By very light movement of the cranial bones and sacrum or tail bone, these pulses can be brought into balance. And the body at this state, allows all of the systems to self-correct. 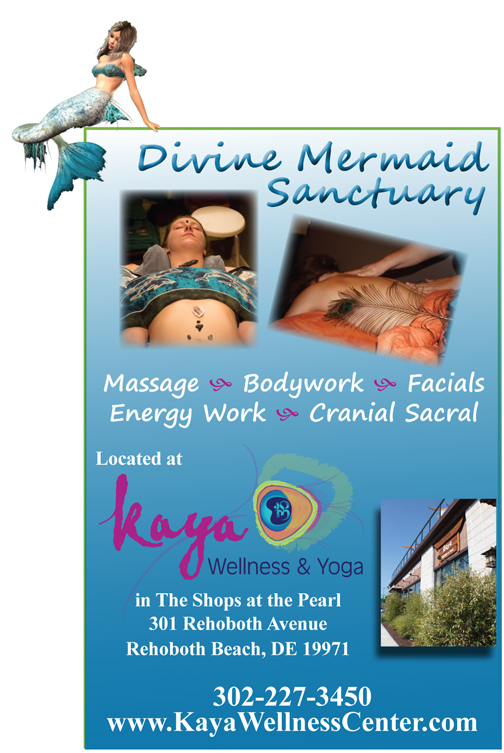 Clients of Mermaid Massage at Kaya Wellness are introduced to CranioSacral Therapy as an add-on treatment to a massage or facial or as a complete treatment all on its own. Most feel a floating sensation and many experience releases. A release is a softening usually accompanied by other physical changes such as a big “sigh” breath. Tissue release allows for enhanced mobility and improved function, allowing your body to do what it need in order to heal. Experience this profound, gentle treatment today to live your best life. Contact Diane Heck, LMT, LE and Reiki Master at Kaya Wellness 302-227-3450 or on her personal line 302-448-5206 to consult and schedule. Come learn about the ancient, Eastern art and science of placement developed over 3000 years ago in China. This complex system reveals how to balance energies of any given space to ensure health and good fortune for people inhabiting it. And just as we can feng shui our homes and office, we can do the same for our bodies.